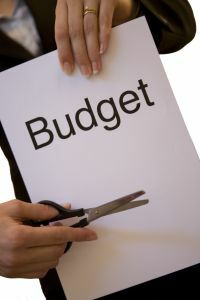 As many are now aware, the Social Security Disability Insurance (SSDI) and the Supplemental Security Income (SSI) programs are facing a major budget shortage if Congress does not fix the problem soon. Specifically, by late 2016, there will be a 19 percent budget shortage for the disability programs, which will in turn result in a 19 percent cut in every one of the 9 million disability beneficiaries’ monthly checks. This will be devastating to these claimants and their families. While Congress has claimed it is well aware of the situation and is using the crisis to generate headlines, their fighting among themselves has apparently not inspired confidence among the general public. According to a recent news feature from Inquisitr, a Gallop survey revealed that 66 percent of Americans still believe Social Security is in a state of crisis, and 64 percent of Americans do not think disabled Americans will receive any money once the shortage occurs. As our Boston Social Security disability attorneys can explain, there are actually two separate funds that make up the Social Security budgets. First, there is the much larger and better-funded Social Security retirement fund. Then there is the disability fund. The disability fund is money used for SSI and SSDI benefits. Since these funds have two separate purposes, money from one fund cannot be used to pay benefits for the other fund. The only way for this to work is for Congress to allocate funding from one of the funds to the other. While this has happened a few times in the last 60 years the Social Security Disability Fund has been in existence, Congress has recently made it much more difficult to do this. It should be noted, there would not be a major effect on the Social Security retirement funds from fixing the budget deficiency in the Social Security disability budget. It is estimated that the retirement fund has enough money to operate until 2034. If just enough to change that to 2033 were removed from the retirement fund and moved to the disability fund, the disability fund would have money for at least the next 15 years without needing any reduction in benefits. The fighting has intensified as the presidential nomination season heats up, and the budgetary crisis is growing closer. The Republican party seems to be holding steadfast in their position that no money should be reallocated from the retirement fund to the disability fund, because that would be helping the disabled at the expense of the retiring workers, and they do not find this to be acceptable. They also claim this will put the country further in debt, and that is also unacceptable. They are proposing what they call major overhauls in the system but will not give any specifics as to what one of these overhauls would look like. On other hand, the Democratic party is pushing for sufficient funding, so millions of Americans are not left with no way to make ends meet. While the debate will not be ending anytime soon, something must be done. f you or a loved one is seeking Social Security Disability Insurance in Boston, call for a free and confidential appointment at 1-888-367-2900.